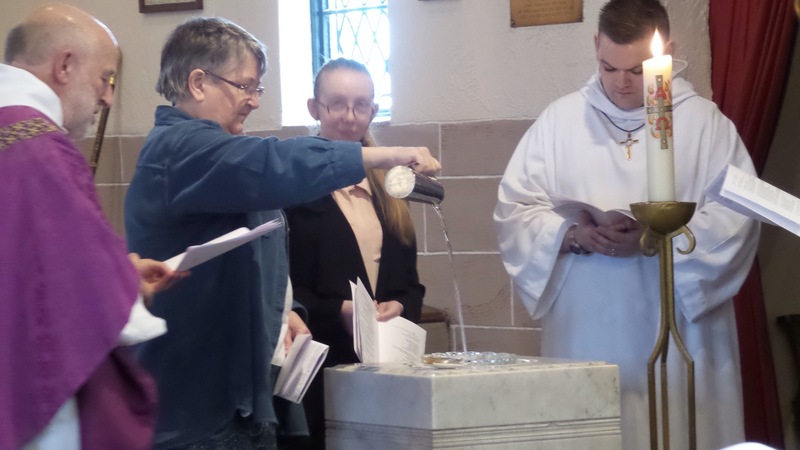 I was glad to be part of Leeanne’s baptism on Sunday at St Finnian’s, Lochgelly. Dot pours the water – responding to my request to pour it from high enough that you can hear it! Lochgelly is in the heart of post-industrial Fife. It was known for having the lowest house prices in Britain. Our congregation has held together – it’s really important that our church should be present in places like Lochgelly. They are now growing again with leadership and encouragement from Lay Reader, Margaret Dineley.